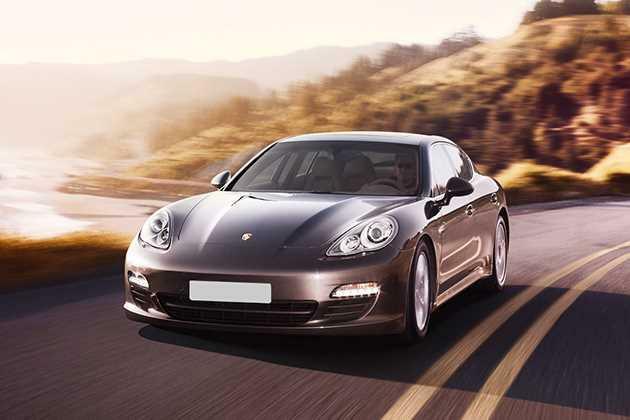 Porsche stunned the Indian car enthusiasts with the launch of its flamboyant Panamera sports car on 9th October, 2013. The awe-inspiring sports car hasn’t tasted the success it should have, maybe because we Indians were not inclined to sports car earlier but the new breed of young entrepreneurs are luring for the sporty vehicle as a mark of their status. The Stuttgart based performance car maker has made a sensible decision to launch the next generation Porsche Panamera at the onset of festive season. The report car of Porsche in India shows that it’s the other model, Cayenne SUV that has been the front-runner in grabbing decent sale numbers till date. Launched in fantastic five variants, the next generation Porsche Panamera is adorned with cutting edge technology and electrifying exterior design. The cues and character lines present the vehicle with stunning stance and vibrant aerodynamic appearance. The new car looks and speaks performance from every angle you gaze at. The prestigious luxury sports brand ensures that every vehicle with Porsche badge is packed with latest technology and high end features. The same has been ensured in the new Panamera as well. Among the five versions, it’s the top end Panamera Turbo variant that stands out with its plethora of features and high performance. The all new Porsche Panamera is bestowed with scintillating silhouette and character lines flowing all over its exterior outfit. Every curve is there with a purpose and it completely ensures that car looks alluring from every angle you look at. The Porsche engineers have been at their best in designing the new sports car with spot on creases and shoulder line extending from the side mirror. The long bonnet and the short boot lid comprehensively complement each other and form a perfect sports car design. The body coloured outside rear view mirrors, bumpers and door handles enhances the chic characterisation of the sports car. The muscular roadster boasts of distinct character lines, pair of high definition powerful ovular headlamps, precise fog lamps and smartly designed LED turn indicators . The slightly forward bumper adds a distinct touch to the vehicle. Even the roofline perfectly matches with the overall outfit of the Panamera. As soon as the car crosses the 90 kmph mark, the automatic rear spoilers open up. The light weight sports car wheel looks excellent and the 20 inches further ensure that the new model stands out of the crowd. The sliding rear profile of Porsche Panamera Turbo boasts of stylish tail lamps with variant name embossed on the boot. It has twin single tube rear exhausts. The buyer gets a flurry of options to choose from, he can select a perfect shade from the 15 different colour pallets available. Even the new Porsche Panamera Turbo interiors are equally striking as its exterior body. Everything is placed at comfortable and convenient place so that reaching for them is an effortless job. The four door sports car has four comfy seats. Adequate head and leg room is offered in both the rows, the front one getting more of the space though. The under thigh and back support is brilliant along with ventilated front seats. These seats can be electrically adjusted in to 8 different ways. Driver seat also gets memorable setting option. The 60:40 split option paves way for enough luggage of a week stay. Being top of the line variant, the Panamera Turbo is fully loaded with roll-up sun blinds for rear compartment/ rear interior lighting package, 7 interior colours, large centre console and 7 dual tone combinations for the cabin trims. Moreover, inner backrest surface, automatic climate control , door armrests, side bolsters, arm rests, etc. Chrome garnishing is sighted on the gear knob and feature control buttons. Porsche Panamera Turbo is the most powerful machine among the ones offered it is equipped with a 4.8 litre V8 twin- turbo engine. This potent mill cranks out astonishing power of 512.2 bhp and generates ultimate torque of 700 Nm. With overboost, the torque figures can shoot up to 800 Nm. The top end version of the supercar, the Panamera Turbo is mated to standard 7 speed Porsche Droppelkupplung gearbox. The version with the most powerful heart is definitely the best performer. It sprints from 0-100 kmph in scary 4.1 seconds with stunning top speed of 306 kmph. The braking and handling department is the key factor for Porsche’s success worldwide. The six piston aluminium monobloc fixed calipers setup ensures that brakes are super light and are very responsive. The Turbo model features red shaded calipers. Furthermore, to ensure complete braking performance is delivered the drum brakes are fitted deep into the vented grooves. The famous anti-lock braking system gives regular deceleration without any hiccups. Electric parking brakes can be activated or deactivated manually. The advance brake caliper at the front axle coupled with widened brake pads in combination with brake booster, definitely improved the braking and overall stability of the sports car even during continuous periods of heating. To ascertain precise braking, Porsche specific Porsche Ceramic Composite brake (PCCB) is installed into the Turbo. The all new Porsche Panamera Turbo sports car is embraced with an array of comfort and convenience features to ensure occupants have a delightful journey in this speed machine. The features embraced in the new vehicle include Rear Seat Centre Arm Rest, Height Adjustable Front Seat Belts, Front and Rear Cup Holders, Automatic Climate Control, Air Quality Control, Rear A/C Vents, Heated Front Seats, Seat Lumbar Support, Cruise Control, Parking Sensors, Navigation System, Rear Seat Headrest , Smart Access Card Entry, 60: 40 split, Multi-function Steering Wheel, Engine Start/ Stop Button, Porsche Rear Seat Entertainment, Leather Seats and several others. Porsche Panamera Turbo is equipped with spectacular features comprising of Anti-Lock Braking System, Brake Assist, Central Locking, Power Door Locks, Child Safety Locks , Driver Airbag, Passenger Airbag, Front Side Airbag, Rear Seat Belts, Keyless Entry, Vehicle Stability Control System, Tyre Pressure Monitor, Automatic Headlamps, Crash Sensor, Active Bonnet System (raised rear section at the time of collision), Porsche Stability Management, etc. Pros : Stunning style and brilliant Porsche performance. Cons : Low driving position, less mileage.